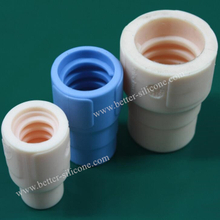 Rubber Bushing, usually called Silicone Rubber Sleeve, Rubber Sleeve Bearing, or Silicone Rubber Damper Washer a fixed or removable cylindrical lining in an inside surface to constrain, guide, or reduce friction , which is known as an insulating lining for a hole through which a conductor passes and an adapter threaded to permit joining of pipes with different diameters often with screws. 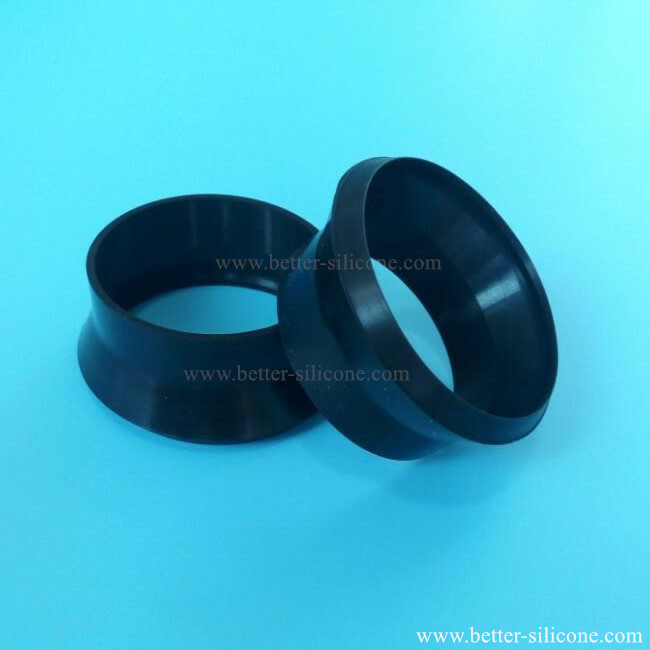 In various harsh environments, Rubber Bushing can protect the parts from vibration, friction and corrosion by muffling the parts, and it is thus called Silicone Bearing Sleeve and Rubber Shock Absorbing Bushings. 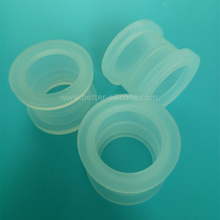 Bushing, generally is made of different materials for different usages. 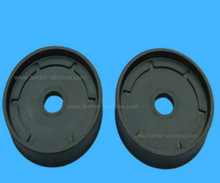 Like bronze, steel, brass, rubber, food grade silicone, plastic, polyurethane, Prothane, nylon, PU, PVC, EPDM, FKM, PTFE, etc, made by die-coating mould, rubber compression molding or plastic injection mold tooling. 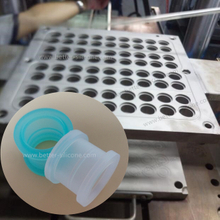 Rubber Bushing has a wide appliance in the mechanical moving components or medical devices, such as vehicle suspension systems, valves, shaft, Bearing, health care tubing, etc. 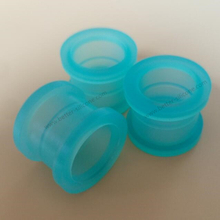 Rubber Car Bushings spread out Auto Industry, such as Gear stick for vehicles with a manual transmission, high-speed inline internal combustion engines and Suspension System. The Suspension Bushing serves as the Damper in auto suspension systems, which is not only good for absorbing noise and vibration, but vehicle's stable handling. 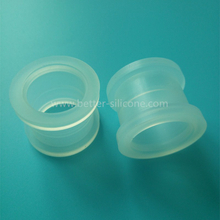 Silicone Rubber Bushing plays an important role in medical field, especially medical grade silicone bushings with good biocompatibility. 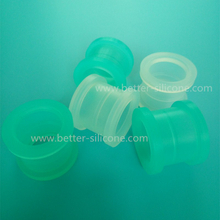 More and more bushings made of medical grade solid or liquid silicone are applied in medical devices, such as tracheal casing pipe, infusion tube. 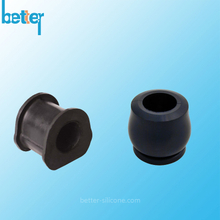 Rubber Bushing is a kind of components for protecting the equipment and also called damper bushing or bumper bushing for cutting noise and vibration. 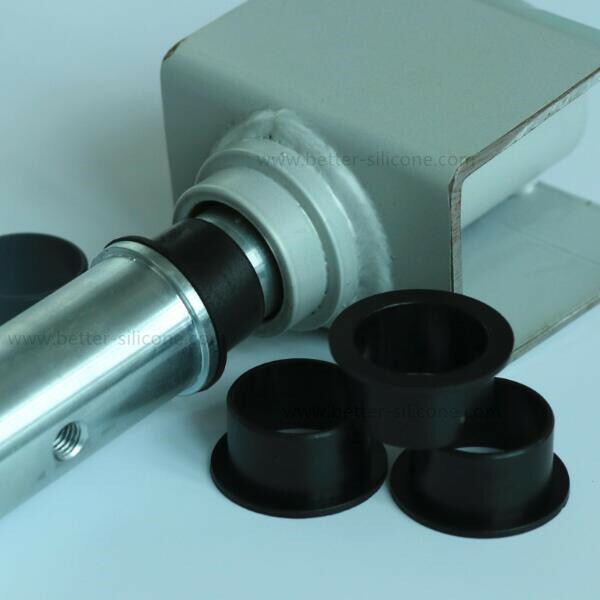 In moving machine, the bushing would wear out after long-time friction between shaft and hole, so we need to replace the connected parts. The designer chooses the low-hardness and anti-abrasive materials for shaft bushing in case that can reduce the abrasion between shaft and housing. 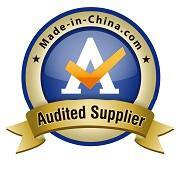 Compared with replacement of the whole part, replacing the bushing is easier and at low cost. 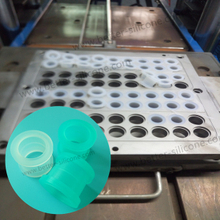 Besides, replacing the whole component will reduce the precision of the equipment because secondary processing doesn’t guarantee the hole center location.